Some people like doing their own financial planning, and happen to be quite good at it, while the very thought of money and creating a budget scares others. The people who fall into the latter are often the ones found shopping around for professional help and assistance. If you’re in the market for a financial planner, keep reading to learn more about what you should expect from a good financial planner, and how to spot the difference between a salesperson or a professional who offers real planning advice, backed by the right certifications and experience. What is financial planning, exactly? In laymen’s terms, financial planning is basically the process of knowing your personal financial goals. For example, when you will need to or want to use your money and what you need or want to use it for. Once you (and/or your planner) have a good grasp on your plans and goals, they next step is putting together a solid plan of action that outlines the specific steps that need to be taken in order to achieve those important goals. For a financial planner (also referred to as a financial advisor) to give good advice, they must collect as much personal and financial data as they can about you. The data is used to create projected outcomes to help show you how and when you can expect to reach your financial goals. 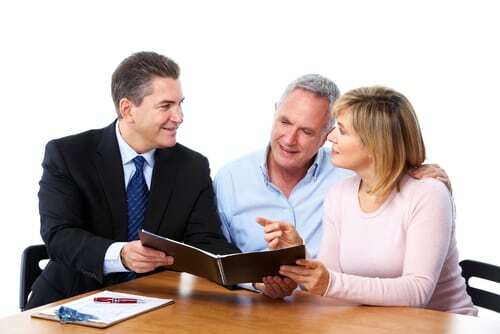 How do I know if I have a good financial planner? Additionally, a lot of financial planners will also offer advice on estate planning and tax services. The best way to find out what type of advice a planner will provide is to ask them. The list above can be quite helpful in determining what type of services a person is actually looking for and needs. Not all of the criteria above will apply to everyone since everyone has unique financial needs, goals, and money situations. Depending on the professional and how they’ve got their services set up, some may charge an hourly rate, a flat fee, a retainer fee, fees charged on assets, commissions paid to them through the products you purchased, or a combination of fees and commissions. The best way to find out is to ask them so everything is clear right from the beginning and there will be no surprises at a later time. Financial planners that seem more focused on selling a specific product right from the start, is most likely a salesperson selling financial products. They may say that they are a financial planner, but they are not the kind of a planner anyone in need of financial advice and planning actually wants or needs. If you live on the Sunshine Coast and are in need of a financial planner to help you get started on your financial goals, visit https://www.ethica.net.au/about/why-choose-us/ to learn more about our services and how we might be able to help.